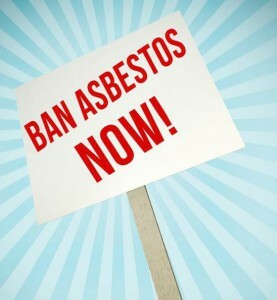 Home » Asbestos » "WE NEED TO ERADICATE ASBESTOS CONTAMINATION FOR GOOD"
"WE NEED TO ERADICATE ASBESTOS CONTAMINATION FOR GOOD"
On the initiative of S&D Group vice-president Stephen Hughes, the European Parliament March 13 called to eradicate asbestos by 2028. The resolution adopted with a large majority (558 votes in favour - 51 against) today in Strasbourg calls for the implementation of a co-ordinated EU strategy to remove all asbestos. The strategy should include a screening and registration programme for public buildings contaminated by asbestos as well as a roadmap for its removal. It should also address the issue of waste. People should also be better informed about the risk of asbestos contamination in their homes. "Many people today believe that we got rid of asbestos in the 90s when we discovered its harmful effects on human health. "But in Europe and the rest of the world there are still millions of buildings, offices, ships and pipes which contain asbestos, despite an EU-wide ban adopted in 1999. "Astonishingly, even this very building in Strasbourg still contains asbestos, which caused a brief scare last week thanks to some accidental contamination by asbestos fibres. The problem is not solved yet and blocking asbestos up behind walls is not enough. "I am therefore very glad that the Parliament has today set a clear deadline for the total eradication of asbestos by 2028. With such a large majority of this house supporting my report we have sent a strong signal to the European Commission. It must now act. "The younger generation of workers are not necessarily aware of the dangers of asbestos. All types of asbestos are dangerous. That's why we are urging the Commission to present a specific directive so that workers who remove it are well-trained and qualified." According to the World Health Organisation (WHO), there are between 20,000 and 30,000 cases of asbestos-related disease recorded every year in the EU alone.